Maruti Suzuki Motors are the largest car manufacturers in the country. A large variety of car models are produced by them. There are twelve models in the small car segment for the discerning buyer to choose from. However they do not have a car in the MUV segment also known as the multi-utility vehicle or medium sized car. The Ertiga is the long felt answer to this. Car buyers are now looking at larger models that can accommodate seven passengers at least. So Maruti wants Ertiga to take up a sizable space in this market. The Ertiga has contemporary good looks which can attract a large section of the society. It has features taken from several Maruti modals, like the head lamps, the bonnet and grill and the interiors. 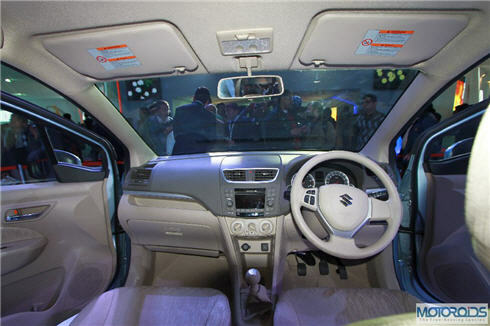 The interior of the Ertiga gives a feeling of space. The passenger can easily slide into the vehicle rather having a feeling of climbing in. The car has three rows. The second and third rows are foldable to create more storage space if necessary. The access to the third row is easily possible by folding the second row and pushing it forward. 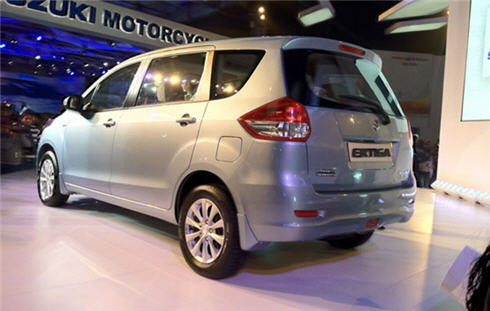 A car enthusiast will love the Ertiga and will have no problem in choosing one. The engine has two varieties, Petrol and Diesel versions. The gear box has been redesigned with new techniques to meet the bigger vehicles requirements. The gears are easy to operate and the smooth running of the engine can give a superb feel. The fuel consumption for both the variants per liter is very low. The petrol version gives 16 Kilometer per liter while the diesel version gives 21 kilometer per liter. This is indeed very good by any standards. The Ertiga gives a true driving pleasure. Taking turns at corners is very smooth. The suspension is softer than earlier models to meet the challenges of a large vehicle. The bumps and humps in the road do not cause much strain to the passengers seated inside. The Ertiga can be driven in the highway at considerable speed with confidence, due to its well designed and steady steering. For driving within city limits, the Ertiga has good maneuverability, better vision to the driver. The car is also light for its size, and for this reason its controls like gearbox, steering and pedals are also light. Its length is 4265 mm, which is shorter than vehicles of other companies. The width is also lesser. The car has a feel of a compact car which is what the manufacturers intended. 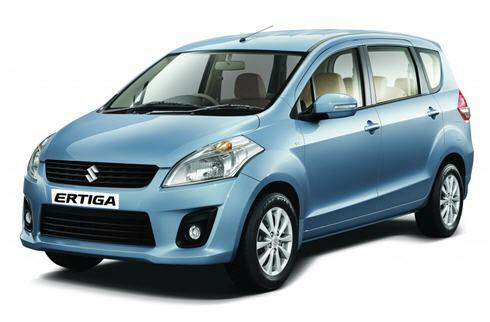 The price of the Ertiga is around Rs.6 lakhs. The car can be marketed for the use of the discerning individual as well as corporate customers or tourist taxi operators. The Ertiga is a versatile car for it has more leg room and is ideal for long drives. The Ertiga is indeed a good buy with its special features, driving comforts and fuel efficiency. It has an extremely competitive price compared to the price of cars in the same segment of other manufacturers.